I would say this is one of my favorite knives ever owned. For one, It's Gerber, not to mention given to me by someone special. I like the thin design. Most of all about the design I'd say the Thumb Stud or the Finger Loop I'm not to sure what the proper term is but it just makes it look that much more flashy and catches the eye. As far as the blade itself well it's built just as well as every other Gerber steel product I've ever owned. I'd recommend this to anyone. its hard to open but that doesn't really matter but overall its great! I really like the knife. except for the outside soft metal cover. also the clip has broken. how would one repair it? The title says it. This knife is very hard to open. I've oiled it, opened and closed it SEVERAL times on several occasions. Nothing seems to help. Oh well. It does the job. if both hands are free. This is one of the toughest folders I have ever seen. I have used this knife all day every for months on end opening boxes, cutting strapping, cutting cardboard, etc. The blade holds a relatively good edge and is pretty easy to sharpen. The serrations are great for cutting strapping. The opening is rather difficult. I recommend adding some Hoppe's #9 to the swivel. Over all a very good knife. I bought this knife at home depot and the package said guaranteed for life. So on day I was cutting a piece of cardboard and the very tip of the knife broke / chipped off, and now I was wondering if I could get a new one or not? But over all great knife. Bought this knife from Home Depot and it works well. I don't really care if it opens one handed (which I agree is difficult). My complaint is that the blade is showing signs of rust/corrosion and I haven't had it for a month. Tried contacting Gerber via their contact link but as yet have no reply. Phone calls to either of their listed numbers has gone no where as well. Is it possible the entire company gets a long vacation and is no unmanned? Have had this knife for three years and have not been disapointed. Can put a sharp edge on it and it keeps it. Can open with one hand easily and blade is very stable. Serrated edge works well. When I finally wear this one out I will definatly be getting another. This is a great knife. Serrated edges ARE INDEED sharp, and they are sharp all the way to the tip. The blade is capable of opening easily with the thumb, but those with weak hands will have a hard time. Opens and closes nicely and lightweight to boot. 5 stars. Picked this knife up at Sports Chalet. Gerber has generally been pretty good. The one hand opening on this knife is a joke. I have had cheaper knives that were much easier and much faster to open. Also, the clip on mine is a piece of junk. It gets caught up on everything and false out of my pocket constantly. Cons: Knife is very hard to open with one hand, half way through it "clicks" making it so you cant just whip it out. Also the serrated edge is useless, you cant cut a twig with it, not enough fulcrum. I bough this knife as a secondary from my leatherman freestyle, and the difference is big. This remix has vreat support and the low profile width is great for putting it in your pocket, the blade got dull fast though, but the serrated but is great and sharp still. The knife is hard to open with your thumb, so i have found alternative ways to open it, mostly by flinging it. 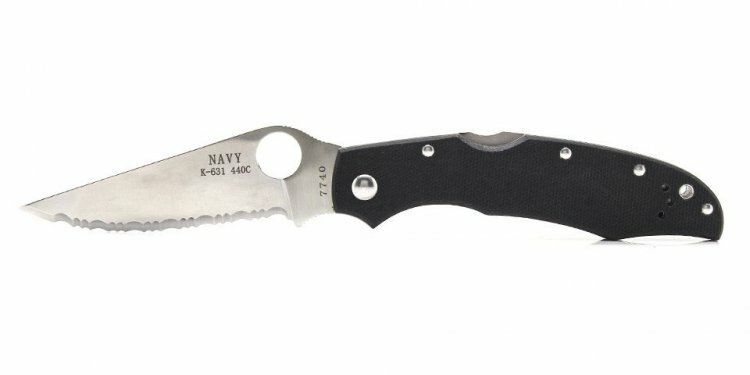 The finger hole provides great support while cutting and is overall great knife for the price, as long as you keep it sharp. I dig the one handed draw. A little oil helped. And the light weight is cool enough to almost forget about it while its in your pocket. I am very disappointed in two things, not able to open with one hand (or not very easily), and they do not sharpen serrated edges for you, they only sharpen fine edges. But otherwise good build quality and a nice price. Thin. Lightweight. Tough as nails. I have never had a problem opening it with my thumb. A friend gave it to me 5 or 6 years ago, & have carried it in my pocket every day since. If your brand new knife is a little stiff to open, dont be afraid to give it a drop of oil.